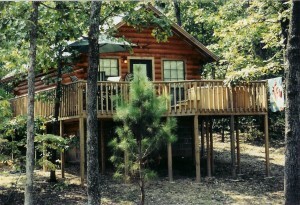 If you’re looking for a great getaway in Oklahoma, look no further. 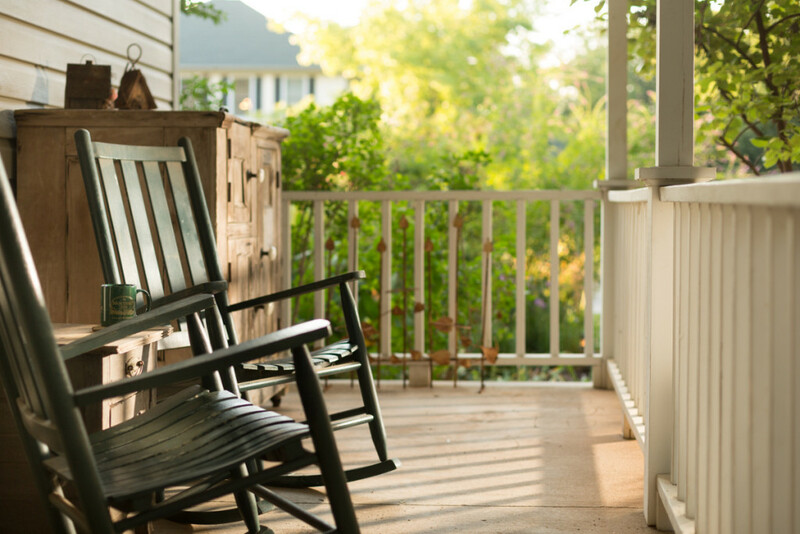 We have compiled the list of the inns, cottages, bed and breakfasts in Oklahoma with the charm, service, and atmosphere you’re looking for. Nestled in the heart of Norman, Oklahoma, Montford Inn invites you to experience the comfort of being at home, while be a part of something special. Guests will find the spirit of the Inn to be delightfully romantic and relaxing. 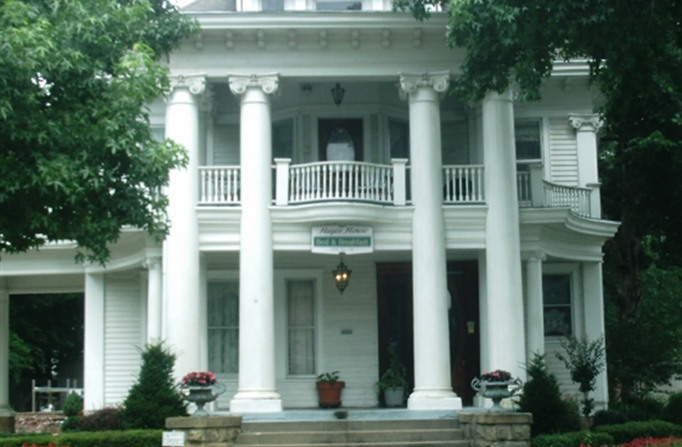 Montford Inn, built in 1994, was custom-designed to create a unique quality and personalized atmosphere, achieving a distinctive ambiance through a combination of elegance and country tradition. Enjoy a stay in the main inn or stay in one of the secluded cottages. Gourmet breakfast, afternoon cookies, and refreshments are included in every stay. Explore the rooms and cottages. 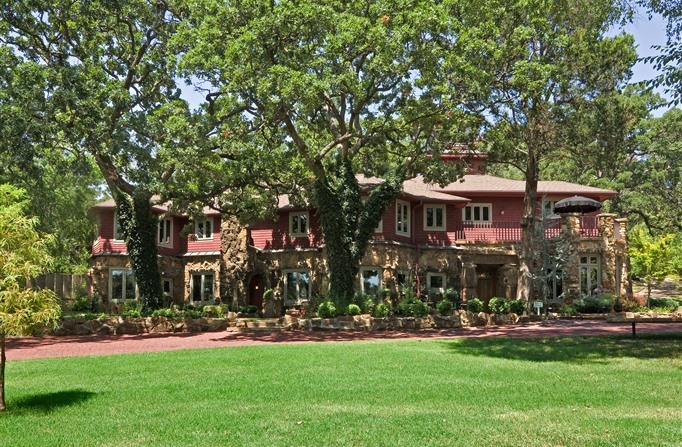 Shiloh Morning Inn is a luxury bed and breakfast inn on 73 acres, located half-way between Dallas, Texas and Oklahoma City, Oklahoma, just minutes off I-35. 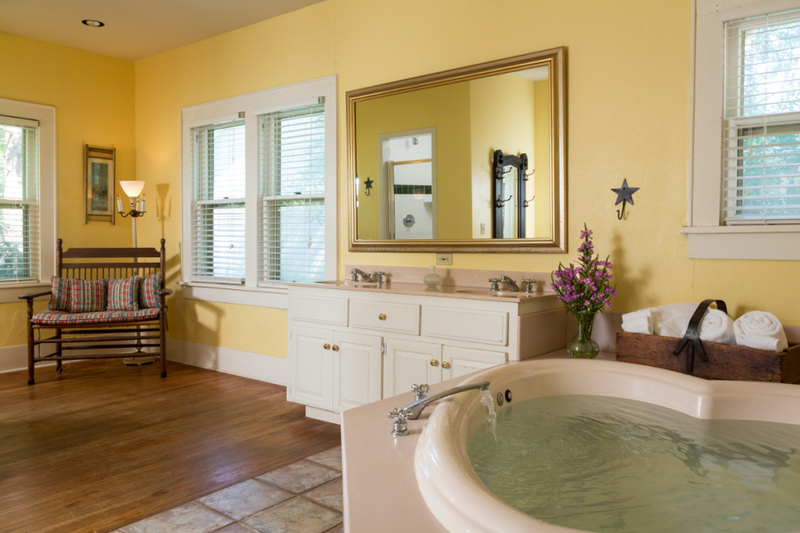 All suites and cottages are furnished with king size beds, TV/DVDs, stocked mini-fridges, luxurious private baths, and have either a hot tub or jetted tub for two. 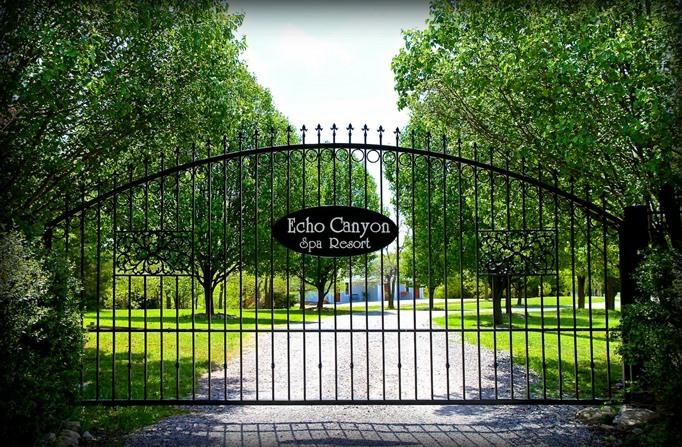 Echo Canyon Spa Resort is a uniquely romantic B&B, in Sulphur, Oklahoma nestled beside the beautifully maintained Chickasaw National Recreation Area with many natural flowing springs, waterfalls and great trails. Get a massage in the new Aloha Spa, soak in one of the mineral baths, or enjoy a sumptuous gourmet, triple entree dinner awaits you – prepared by Echo Canyon’s two professional chefs who will wine you and dine you. Image Courtesy of Echo Canyon. 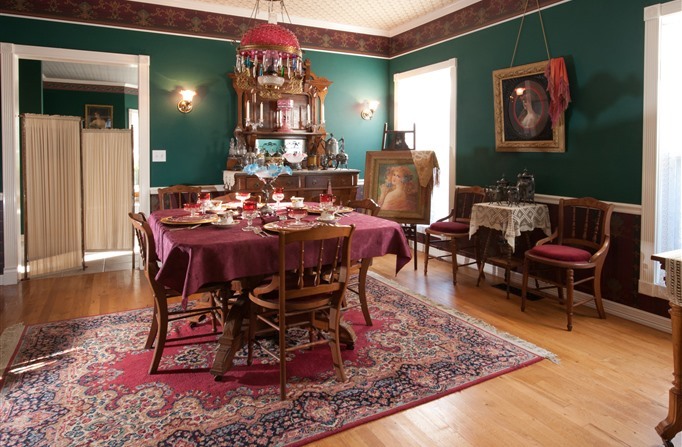 When you enter through our front door, you will feel like you have stepped back in time to the Victorian era with our period reproduction wallpapers and authentic Victorian furnishings and decor. The Victorian Lady is a perfect destination for couples celebrating an anniversary or those just looking for a quiet weekend getaway. Each room in the Inn is tastefully and individually decorated with charming authentic Victorian furnishings, nostalgia pieces, and many special touches. 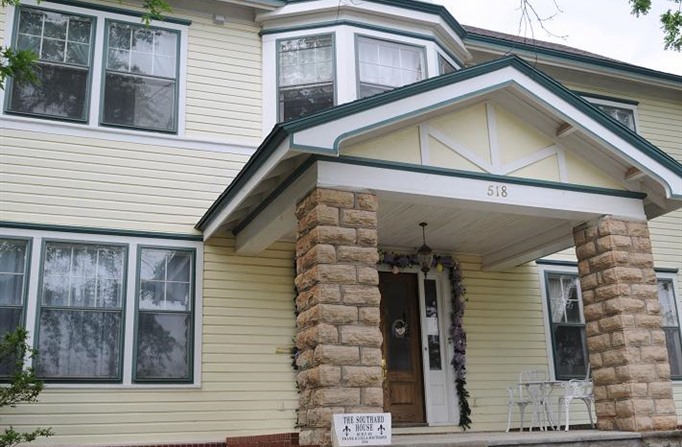 The Victorian Lady is located in a quiet neighborhood near Tulsa area attractions. 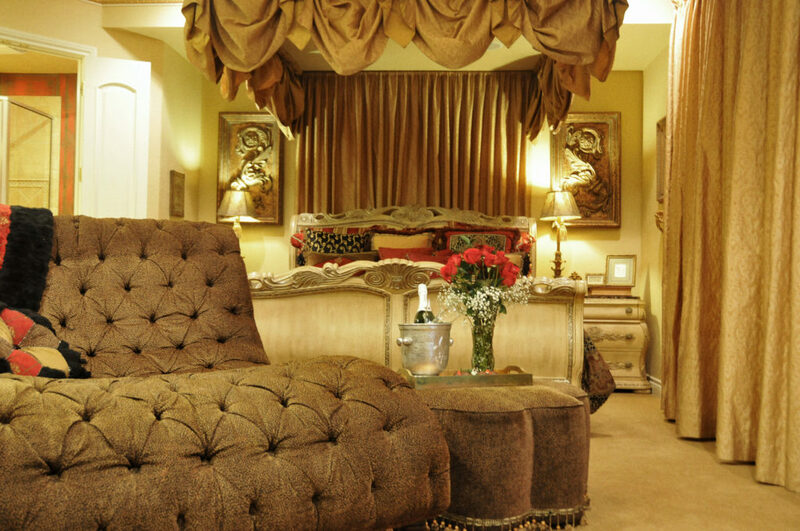 Reserve one of our five luxury suites and enjoy the beauty, history, and legends of Cedar Rock Inn. 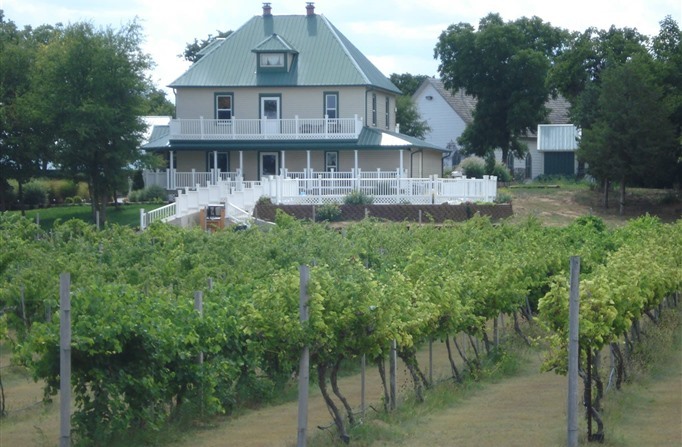 The Inn sits on the peaceful 55 acre Redberry Farm and the owners spent over 6 years renovating this lovely 1890 sandstone home into what is now a one-of-a-kind Bed & Breakfast. 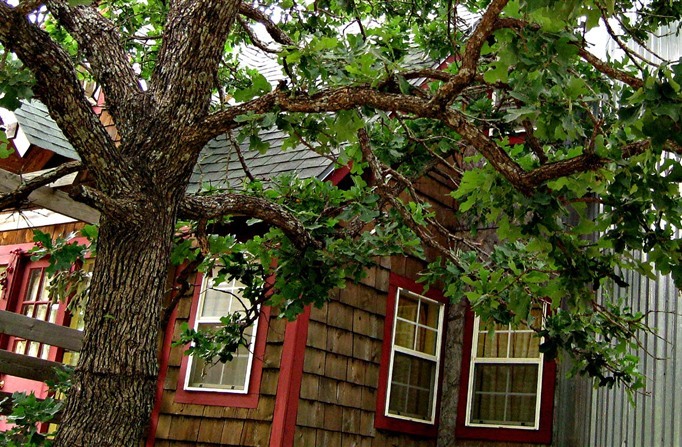 Hike, explore, relax or just curl up with a good book and enjoy Cedar Rock Inn. Our Village Inn is a charming turn-of-the-century style Bed & Breakfast, a premiere romantic getaway in Northwest Oklahoma. Each of the five rooms are decorated with their own unique, graceful style. We also have a Grand Lodge which is a five room, three bath home which is more secluded from the rest of the property. Each home is equipped with a master suite with a large jacuzzi tub. Your stay includes a country breakfast. Welcome to the RedStone, located in the center of historic downtown Guthrie, OK. 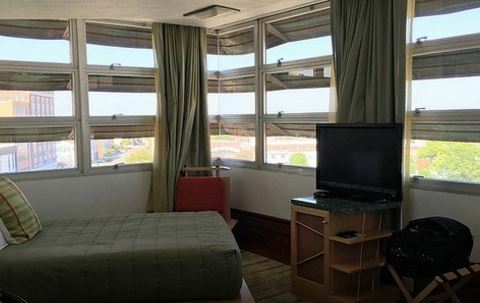 There are five apartment size suites. 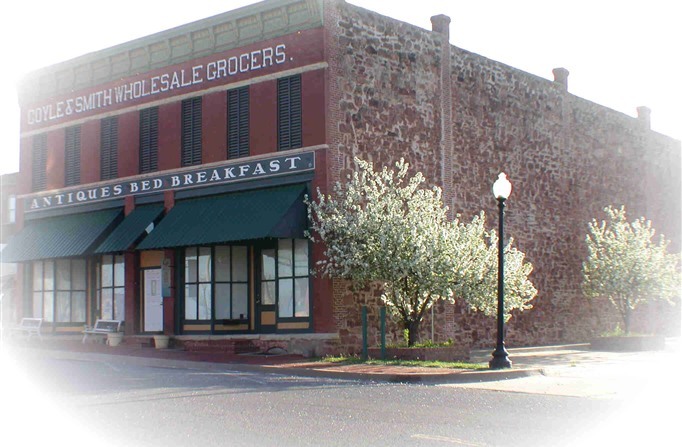 2, honeymoon & 2, one bedroom & 1, two bedroom suites with the best darn breakfast in Guthrie! Two Victorian styled wedding chapels accommodate up to 75 guests. Conference or meeting rooms for a unique setting. Designed to encourage married couples in a lavish and relaxing environment, Two Hearts Inn is a new expansion of Inspirations Tea Room, an award winning restaurant in Edmond. Built on a protected wildlife area, our 10′ wide covered deck wraps around our building for an incredible view of the outdoors. With an indoor sunroom, and a 5000 square foot deck with two covered pergolas, walking trail, and fire pit with seating, there is a place for everyone to enjoy the beautiful scenery. Hayes House was built by Oscar Hayes in 1907 when he began his campaign to be the first Governor of Oklahoma. He planned for this to be his Governor’s mansion. Though Mr. Hayes lost the race his home remains as an elegant abode for guests. And what an abode! With great guest rooms and a beautiful destination for weddings, you’ll want to check out Hayes House. Whether you’re coming to Southard House for a romantic getaway, to celebrate one of life’s special moments, or on business, you will find a relaxing, sumptuous retreat in one of our four luxuriously appointed guest suites. We invite you to relax in our parlor, browse our boutique for unique food, craft and gift items, indulge in a complimentary afternoon snack and evening dessert, and wake up every day to a full gourmet breakfast. Luxurious Honeymoon Cottages for Two in the Country. Three unique cottages with all of the amenities of 5-star resorts. Aaron’s Gate is a sister to the famous Arcadian Inn and serves the same delicious breakfast with our “to die for” Vanilla Butter Sauce. Located just 15 minutes from the popular Broken Bow Lake/Beaver’s Bend State Park area, Reuben’s Rest Bed & Breakfast desires to make every stay care-free and special. There are games and a fireplace in the parlor. An upstairs pantry with refrigerator, microwave, sink and coffee pot is stocked with complimentary soft drinks and snacks for the guest’s enjoyment. A full breakfast will be served in the dining room each morning. 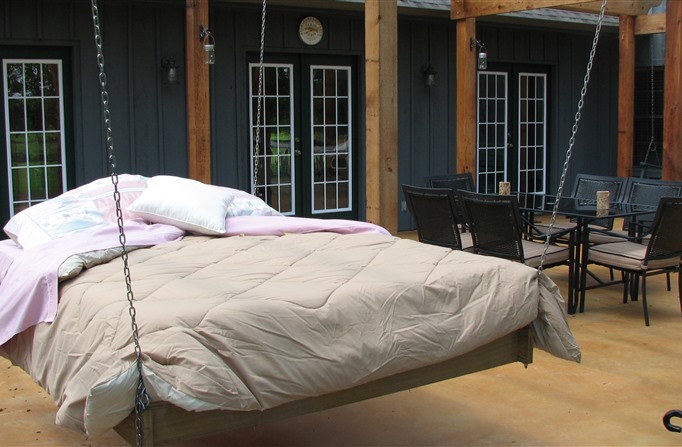 Stone Creek Bed and Breakfast has been awarded as one of the Top Ten Bed and Breakfasts in the Southwest because of our specialty – sleeping in our OUTDOOR HANGING BED! Rediscover Life by watching an outdoor movie, eating a Big Fat Brownie, right out of the oven with ice cream melting over the sides, and enjoying the smell of wood burning in the firepit. Men, your gonna love this one! Enjoy one of Lago Vista’s 4 guestrooms each with fireplace, jacuzzi tub, walk in shower and private balcony while you are visiting beautiful Beavers Bend State Park and Broken Bow Lake. All rooms include beer and wine each evening and a full breakfast each morning. Rivers Edge is comprised of 12 beautiful cottages located along the Mountain Fork River on 300 private acres, just northeast of Watson, Oklahoma. So many guests to Rivers Edge leave speaking of the privacy, quiet, and seclusion. But many also list their enjoyment of the river and overwhelming amount of natural sounds of the woods as favorite reasons for coming back. 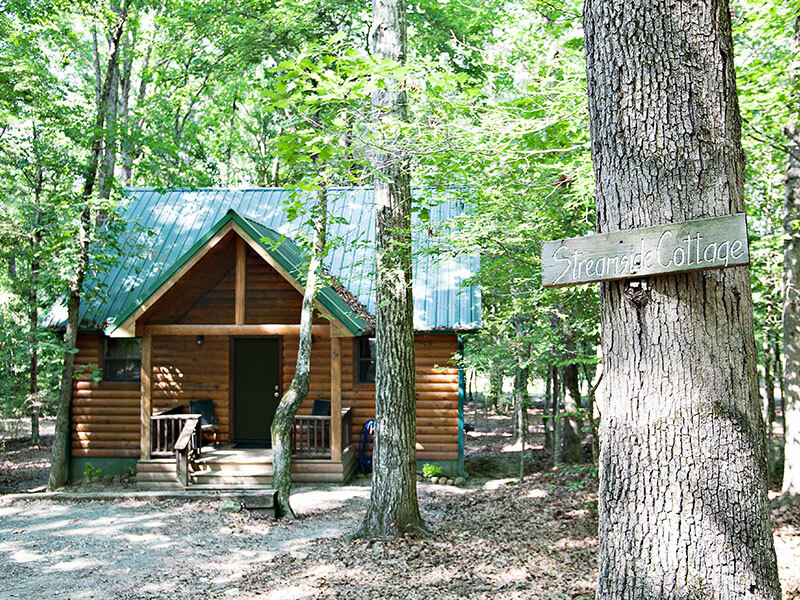 With on-site camping, cabins, trail riding, and more, the A to Z Guest Ranch will take you back to a simpler time and give you a getaway you’ll never forget. You can even add on massages to make sure you’re completely de-stressed before heading back to your regular life. Nestled among the trees is a seven acre private resort hidden on one of the great deep water coves on the beautiful Grand Lake. Candlewyck offers access to over 450 ft of majestic waterfront and private boat docks allow guests to bring their own boat or personal watercraft. A large swimming pool is available to all guests. Daily pontoon, jet ski, and ski boat rental are available on site through H2O Sports Rental. Amidst tall timbers or a lakeside cabin, you’ll find your perfect get-a-way to relax in front of a rock fireplace or hot tub under the stars. A walk through the woods will cause you to feel lost in the beauty of nature. For the more adventurous soul, Grand Lake is the premier lake in America to boat, fish, sail, parasail and so much more. This downtown hotel earns compliments from recent guests for its 225 spacious rooms, which come stocked with amenities like LCD flat-screen televisions and Hilton’s Serenity beds with non-allergenic bedding. 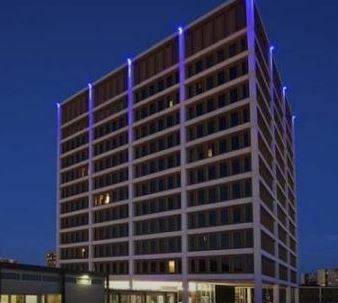 The Skirvin Hilton Oklahoma City also features several meeting rooms, as well as an indoor pool and a fitness center, should you need to work out some work-weary muscles. Though The Skirvin Hilton Oklahoma City sits within walking distance of numerous downtown eateries, many guests recommend visiting the on-site Park Avenue Grill at least once. 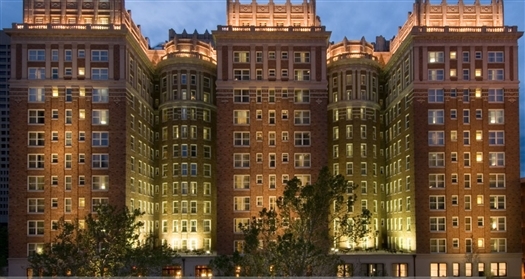 Visitors of the Ambassador Hotel Tulsa, Autograph Collection praise this Marriott-affiliated property for its in-room amenities. Past guests cannot stop talking about the food — such as the beef Wellington and the crab cakes — and drinks offered at The Chalkboard, which is open for breakfast, lunch and dinner. 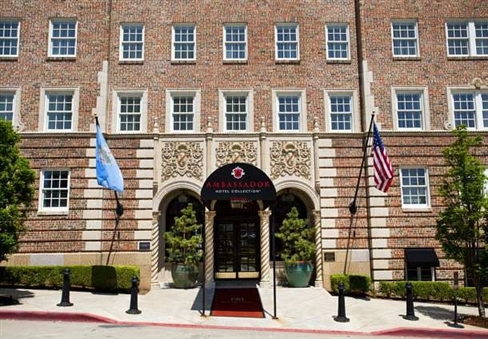 Once you’ve satiated your appetite, book yourself an in-room massage or explore the surrounding area by way of the Ambassador Hotel Tulsa’s complimentary shuttle (which will take you anywhere within a 5-mile radius). This historic hotel has been housing visitors in downtown Tulsa, Oklahoma, since 1925, though it last shut its doors in 1981. After undergoing a $42 million renovation, The Mayo Hotel reopened in 2009, rejoining the city’s luxury hotel scene, boasting colorful, contemporary decor and a revitalized spirit. The art deco lobby features extraordinarily high ceilings and marble floors with bold patterned furnishings adding contrast. Part of the former Presidential Suite (where Elvis Presley once stayed), the Penthouse Rooftop Lounge serves signature cocktails and downtown views. The Mayo also serves full meals at The Boiler Room. 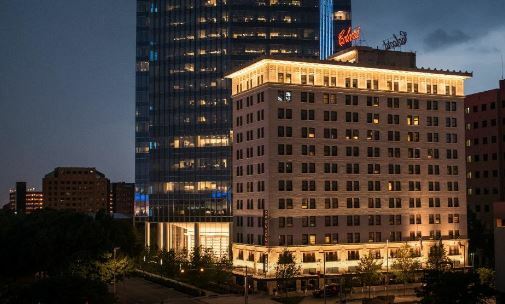 Located at the West end along Film Row, and occupying the historic Ford Motor Company Assembly Plant, 21c Museum Hotel Oklahoma City is a 135-room boutique hotel, contemporary art museum, cultural civic center, and home to Mary Eddy’s Kitchen x Lounge. Stay with us and the iconic Purple Penguin. Located right on Historic Route 66, The Campbell Hotel is a luxurious boutique hotel and event center consisting of 26 uniquely decorated rooms, a lounge, and full salon and spa services, all situated conveniently near downtown Tulsa’s most popular sights and attractions. 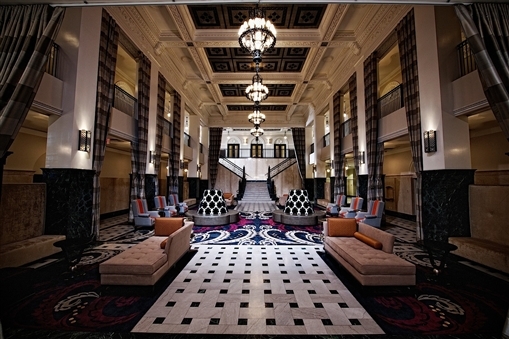 Completely renovated for Tulsa’s 2011 Designer Showcase, the hotel invites you to experience a piece of Tulsa’s celebrated history and recaptured first-class nostalgia. Imaginatively conceived and elegantly constructed within the top floors of Frank Lloyd Wright’s only skyscraper, the high-design Inn at Price Tower welcomed its first guests in April 2003. Since then, it has become one of America’s outstanding travel destinations. Created by Price Tower Arts Center as both an amenity for the museum and an attraction in its own right. At the Colcord Hotel, luxury means the gold standard of service and comfort. Luxury is the promise we keep to our guests, every day. Whether you’re a business traveler or a local in need of a staycation, you will be greeted by our helpful staff and treated with abundant amenities. Located in the former city hall building of Tulsa, the Aloft Tulsa is an oasis for the modern and tech savvy traveler who likes their design lines clean and their buildings with lots of history.